You’ll no longer get to peel any plastic films off your next Samsung Galaxy charger. Samsung to use eco-friendly materials in its packaging from this year. This will apply to all its products, including home appliances and smartphones. Even the paper used will be certified by environmental organisations. Environmentalists, rejoice! Your next Samsung Galaxy smartphone could come wrapped in a box that resembles an SUPW class project. According to a news release by Samsung, the Korean electronics company has decided to switch from plastic to sustainable materials for packaging its goods. This means you’ll no longer get to peel those transparent plastic covers off the new phone’s charger. On the bright side, you’ll be able to throw all of the packaging you received in the trash can marked ‘Biodegradable’. According to Samsung’s new product packaging revamp plan, all new products and accessories—ranging from mobile phones to home appliances—will be packaged using environmentally sustainable materials from the first half of this year. These materials include recycled or bio-based plastics and paper. 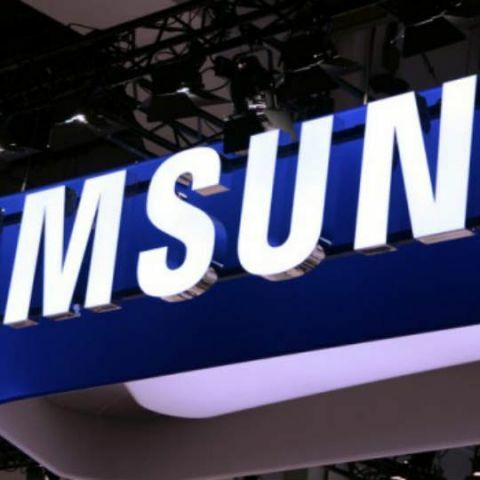 “Samsung Electronics is stepping up in addressing society’s environmental issues such as resource depletion and plastic wastes,” commented Gyeong-bin Jeon, Head of Samsung’s Global Customer Satisfaction Center. For mobile phones, tablets, and wearable devices, the company will replace plastic holder trays with pulp moulds and other eco-friendly materials. Samsung will also switch from a glossy finish to a matte finish on its phone chargers, thereby removing the need to wrap it in plastic films. What’s more, the company says it will replace any plastic bags used to protect the cartons of home appliances with bags containing recycled materials and bioplastics, which, according to the technology giant, are made from plastic wastes and non-fossil fuel materials like sugar cane or starch. By next year, even the paper used in the user manuals and packaging of Samsung’s products will contain fibre materials certified by global environmental organisations such as the Forest Stewardship Council, Programme for the Endorsement of Forest Certification Scheme and the Sustainable Forestry Initiative. How determined is Samsung to move towards a greener packaging process, you ask? “We will adopt more environmentally sustainable materials even if it means an increase in cost,” added Gyeong-bin Jeon. Samsung plans to use 500 thousand tonnes of recycled plastics and rake up 7.5 million tonnes of trashed products by 2030. As for us, we’re quite thrilled to hear that Samsung is turning over a new leaf and is packaging its goods more responsibly this year forward. Let me know whether Le Eco 2 enable me to carry out activities in \"Malayalam Language\"?